The road to recovery may be painful for many patients with foot-related injuries or conditions. 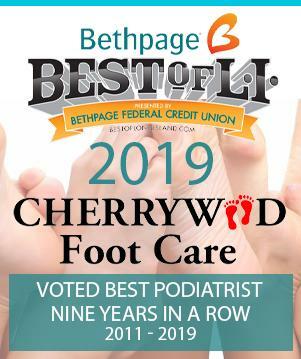 At Cherrywood Foot Care, our board certified staff of podiatric professionals know the best strategies to treat any and all of them, including how to manage the associated pain. Proper treatment may include ice packs, massages, physical therapy, or use of anti-inflammatory medications. Please consult your physician before taking any medications for pain management. Recurring or persistent (chronic) pain on the outer side of the ankle often develops after an injury, such as a sprained ankle. Anti-inflammatory medications, such as aspirin or ibuprofen to reduce swelling. Physical therapy, including tilt-board exercises directed at strengthening the muscles, restoring range of motion, and increasing the perception of joint position. An ankle brace or other support. An injection of a steroid medication. In the case of a fracture, immobilization to allow the bone to heal. Follow your doctor’s instructions carefully and complete the prescribed physical rehabilitation program. Do not return to activity until cleared by your physician. When you do return to sports, use an ankle brace rather than taping the ankle. 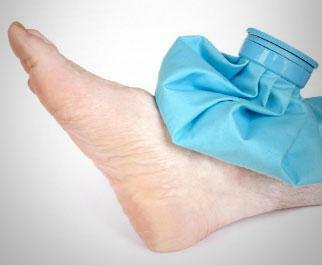 Bracing is more effective than taping in preventing ankle sprains. If you wear hi-top shoes, be sure to lace them properly and completely. Plantar fasciitis is an inflammation of a thick, fibrous ligament in the arch of the foot. The plantar fascia (arch of the foot) attaches into the heel bone and fans out toward the ball of the foot, attaching into the base of the toes. If this ligament is stretched excessively it will become inflamed and begin to cause pain. The main emphasis for treatment of arch pain is to reduce the forces that are causing the plantar fascia to stretch excessively. This includes calf muscle stretching, over the counter arch supports, and orthotics. Oral anti-inflammatory medications may be useful in controlling the pain. Additionally, cortisone injections may be recommended for the treatment of plantar fasciitis. Over-the-counter anti-inflammatory medications, such as aspirin, ibuprofen, or acetaminophen products. Vitamins B6, B12, and folic acid. Calluses are the most common source of pain on the ball of the foot. Treatment consists of periodic trimming or shaving the callus, padding the shoes to remove the pressure, using shoe orthotics, or, in severe cases, surgery. Pain in the ball of the foot not associated with calluses can be a result of inflammation of a tendon in the toe, arthritis, inflammation of the joint, or a neuroma. Stiffness in the big toe and big toe joint (Hallux Limitus and Hallux Rigidus) and sesamoiditis, an inflammation of two small bones under the big toe joint, are also conditions that lead to pain in the ball of the foot. Over-the-counter or prescription pain and/or anti-inflammatory medications. Orthotics or specially prescribed corrective shoes. Most bunions can be treated without surgery by wearing protective pads to cushion the painful area, and by wearing properly-fitted shoes. Bunion surgery, known as a bunionectomy, realigns the bone, ligaments, tendons, and nerves so the big toe can be brought back to its correct position. Many bunion surgeries are performed on a same-day, outpatient basis. However, a long recovery is common and may include persistent swelling and stiffness. Plantar fasciitis is commonly traced to an inflammation of the ligament that stretches across the bottom of the foot. The condition can usually be treated effectively with conservative measures, such as use of anti-inflammatory medications, ice packs, stretching exercises, orthotic devices, and physical therapy. Foot pain in the ball of the foot, the area between the arch and toes, is generally referred to as metatarsalgia. The pain centers on one or more of the five bones (metatarsals) in this mid-portion of the foot. A simple change of shoes may solve the problem. In more severe cases, podiatrists may prescribe a custom orthotic device to make sure the foot structures are in their proper position. There are several causes of pain on the top of the foot. The quality of the pain and its location helps podiatrists determine the cause. A period of limiting activity.